IEP Transition: How to make it successful for your Adolescent and Young Adult. Home » IEP Advice for Parents » IEP Transition: How to make it successful for your Adolescent and Young Adult. 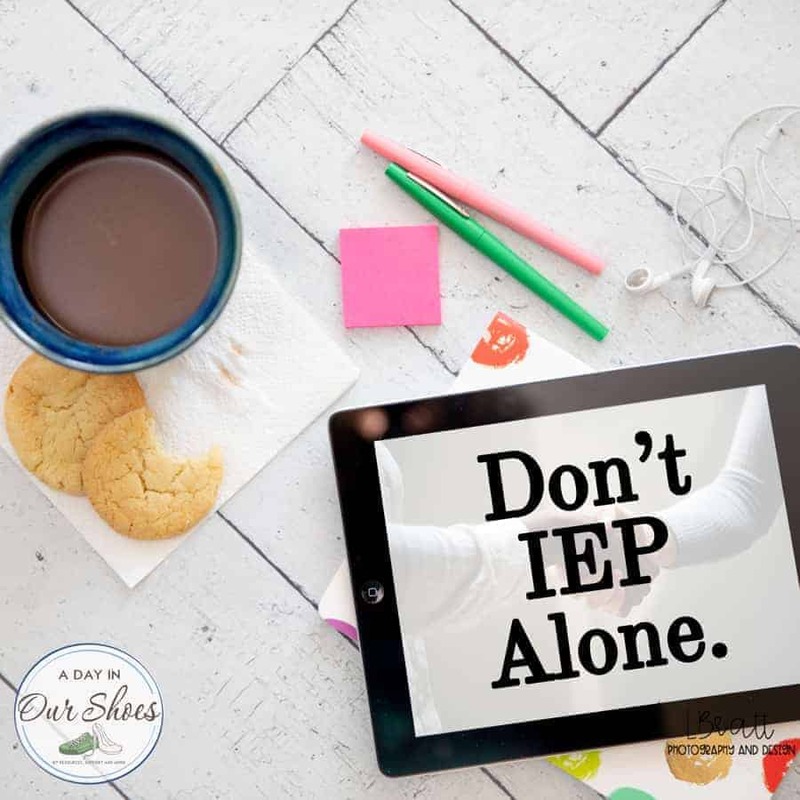 IEP Transition is probably the most important time in a student’s life. Yet it is the section of the IEP that I see inadequate and downright botched most of the time. I swear I am not making this up! That’s what it said. What the heck is that? That is downright lazy and not caring. Especially when there actually is so much you can do with it. Training programs, cosmetology, working in a salon…the opportunities are endless! Thank goodness I became involved when she was 15, so not all was lost. This post is not only an older post that was reworked, it was written by a friend who works in the field. Before I get to Mary’s portion, I just want to add a bit of advice that I’ve learned. I have heard this from other parents ahead of me on this journey as well as professionals working in adult services. Time and time again, the main concept I hear is: Do it yourself. Do not wait. You have to build your own and help your child build their own social capital. Network. No one is going to create opportunities for your child, and the ones that already exist are very limited. It is going to be on you, moms and dads, to do this. Think outside the box. An overworked phrase, I know. But if you don’t take initiative, your child is likely to be the one sitting in your basement playing video games. 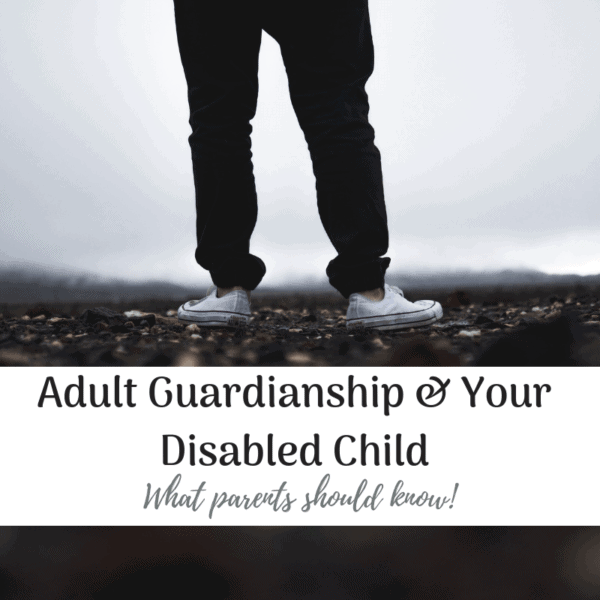 Related, also read: Legal Guardianship and your Adult Child with Disabilities~what parents need to know. 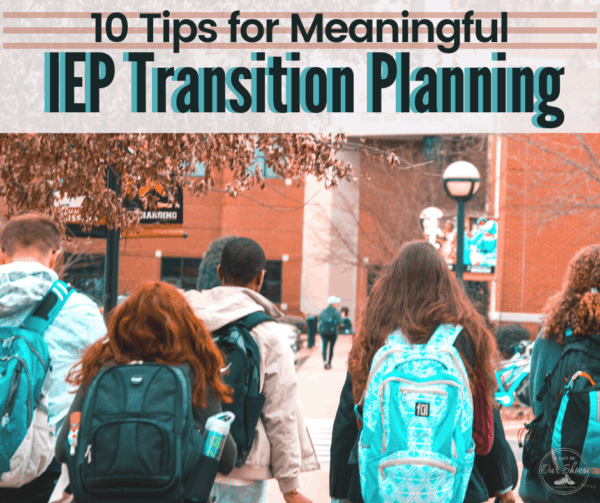 IDEA 2004 outlines how transition in secondary education for students with Individualized Education Plans (IEPs) is to work, and how transition plans are to be written as parts of your adolescent’s IEP. Below I have the link to the actual portion of IDEA that talks about transition. If you read through it, you will see that it is actually much more thorough than what happens in many IEP meetings. Also, there is something called the Indicator 13 Checklist. Basically what that is, is a system of measuring how well states are doing when it comes to Transition Planning for our kids. I have a blank Indicator 13 Checklist at the bottom of this post. It is for PA, but you can search it for your state. You will also see where it lists best practices. 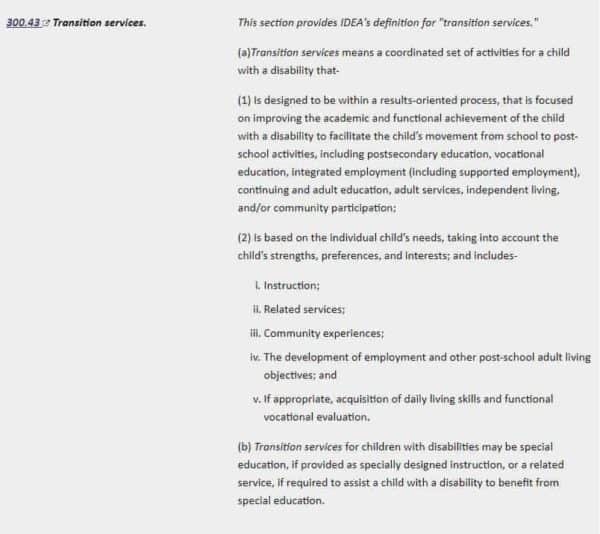 IEP/Transition teams must meet requirements for the state and federal governments for transition in IDEA via what is called “Indicator 13”, meaning they must make sure that your adolescent’s transition plans and programs meet the requirements on this checklist. Start early. It can be hard to picture a 12-year-old who has a disability preparing for adulthood. But research shows that the earlier transition goals are focused on the better. The earlier the IEP/transition team takes on the perspective of “will this help this student be more successful as an adult”, the more successful a student may be in the long-run. My experience working with many students with a range of intellectual disabilities supports this idea. If questioned by the members of the meeting, remind them that IDEA states that transition planning must be started by the year the student is turning 16, but it can be started before that age. Much of the early years should be spent exploring. It is very easy to stereotype or assume about a young person with a disability by focusing on what they can’t do, instead of what they can do. The IEP team should focus on strengths and needs. And as your adolescent’s advocate, you may have to emphasize that the team focus on both instead of focusing only on one. Keep an open mind and learn about what is possible for young adults with disabilities. In this day very much is possible that was an option even a decade ago. Young people with significant disabilities are ever-increasingly finding supports and assistance with their own dreams. These may include anything from owning their own micro-enterprise, to attending college, to working in a job with a job coach, to living in a supported but very home-like environment. It’s very easy to see one’s 12 or 13 year old, and assume they will always need to live at home, or in a segregated setting. But in this day and age, this does not have to be so. Making connections as early as possible, and learning about the options available in your area, can help families make the best decisions with their adolescent. Focus on the student’s dreams, strengths, and needs. Person centered planning should be the focus for those young adults with even the most significant disabilities. You can request that the IEP team incorporate person-centered planning within your student’s transition planning. Guide the education team to know what agencies you want included. Often education teams mean well, but do not have time to research and engage with more than a few agencies. Learn about your rights with agencies such as Vocational Rehabilitation, Developmental Disabilities Services, Medicaid, Social Security, community support services, Independent Living Centers, etc. You might be told “Only xyz is available” but that is not the case. Understand that adult services are eligibility based. Once your adolescent is out of public education, adult services in all states are eligibility based. This is very different than the entitlement type services that are typically received in public schools. Revisit your adolescent’s transition goals more than once a year. Especially if transition planning is started younger than 16. Adolescents change very much in just months, so your adolescent may be very interested in one type of future plan for a while, and then they may gain experience in that area, and change their mind. Or, a goal could be achieved and then should be changed. The transition plan (just like the IEP) is not set in stone, and should be updated and changed to meet the student’s individual needs. A vision statement may help you guide your transition plan. Transition plans can include all areas of transition. It is important to focus on academics that can assist your adolescent to be a successful adult, but also functional goals such as life goals, adaptive skills (cooking, budgeting, getting up to an alarm, self-care skills, etc. ), social skills, communication skills, job skills, independent living skills, and so forth. Goals in these areas should be included and worked on at school for your adolescent, and individualized for your adolescent’s needs. Also, consider how academics are parts of functional skills, so practicing skills together is important. Personal experience is best for students to determine their strengths and interest areas. Certainly, in earlier grades your adolescent should be exploring what kind of jobs they may like, where they may like to live, and basic skills to help them with adulthood. But as they get to 16, skills should move from the classroom to life. This may mean working to arrange a schedule where the adolescent can benefit from as much inclusion as possible in school, as well as included in the community. It really should be individualized for your adolescent. Explore all options. Could your youth explore an internship with a para-educator acting as a job coach in a near-by business? Could your youth gain traveling experience by learning how to use the community bus services? Yes, for some youth an “in school” type job may be worthwhile, if the youth is interested in working in a cafeteria or with the football team, but avoid allowing your teen to be stereotyped into a certain skill or job! And make sure that the school is not using your student to do jobs that are stigmatizing. You adolescent may have very significant physical and intellectual disabilities, so assistive technology should be utilized as much as possible. My greatest suggestion is to keep one’s mind open and explore as many options as possible. I know youth and young adults with very significant disabilities who have person-centered transition plans and personal experiences that have helped their whole team make decisions with them which have led to their successful and happy transition to adulthood without being pigeonholed into segregated settings, or settings where they were limited rather than growing and happy. Self-determination and person-centered planning are vital concepts as your adolescent becomes an adult. This includes being self-determined with parents and families. This can be hard for families, as it can be easy to assume what a young adult with disabilities and a range of issues and needs wants for their lives. Both professionals and family members alike often do not ASK the youth and young adults what they want as adults. And, even when asked, often it is just assumed that their “dream” is unattainable, rather than trying to find a way to embrace their dream in some way. My experience has been that even if the young adult’s dream is communicated via their behavior and facial expressions, we should do all we can as professionals and family members to embrace their dreams, and help them come true. We may have to help them understand that they may always live at home, but we can help explore their dream of more independence from their family, for example, by working with Medicaid and Insurance to find a way to provide an outside care-giver. They may not be able to play on an NBA basketball team, but we could work with them to help them go to an NBA basketball team game, or help them explore about working at a sports arena. A student may only be successful at auditing a college class, but we can help them find those classes to take, and help them to take the courses. Young adults may try to take the drivers’ test, but still aren’t able to pass. We could help them learn to drive something else like a golf cart. We can always believe that the impossible can be possible. I’ve seen determined young adults achieve their goals such as taking the drivers’ test over and over again. And after years of trying, pass it and get their license. I’ve seen young adults with significant disabilities design bags, wreaths, and art that can be sold as parts of their own micro-enterprises. Partial participation, assistive technology, and exploring all options can make so much more possible! Finally, “Their last day of school, should look like the first day of the rest of their life!” I once attended a training in the district I worked. I cannot take credit for this quote, and am not sure who said it—but will share it here. The ultimate idea behind this quote is that if a young adult attends school beyond 18 or 19, and continues to 21, that “their last day of school, should look like the first day of the rest of their life!” Thus, a yellow school bus should not be the bus picking them up. For example, the day after their last day of school, a yellow school bus won’t be picking them up. So, that day there better be more than a transition plan on paper, but a transition plan that has truly helped to create “the rest of their life.” So that last day of “school” is truly the first day of the rest of their life. References: President’s Commission on Excellence in Special Education (2002). A New Era: Revitalizing Special Education for Children and their Families. About the Author: Mary has a Ph.D. in Special Education, focused on Transition. She has worked with youth and young adults with all types of disabilities for almost 20 years in many capacities, including 7 as a special education teacher in public schools. Mary has worked with many students with intellectual disabilities, autism, and multiple disabilities. She currently trains new teachers in both general and special education to work with students with the full range of abilities, advocates for students and their families, and researches in the area of transition and inclusion. « Do I have to tell the IEP team about my child’s medication?